This post provides steps needed to enable and make use of TOTP two-factor authentication in Zato web-admin - the method is compatible with the most popular apps such as Google Authenticator, Authy or FreeOTP. The functionality is slated for release in Zato 3.1 and, currently, it is available via Zato source installation. We start by letting web-admin know that it is to require TOTP security codes from users. This is a global flag for all users. Now that the two-factor authentication with TOTP is enabled, we need the initial TOTP key for each user, otherwise they will not be able to log in at all. Such a key can now be transferred to an app of choice to generate time-based security codes that web-admin will require. The app that the key was saved to will now present security codes needed for logging in. Each such key is valid for at most 30 seconds - in this way a potential attacker will have to take two factors into account, one is your password and the other is getting access to your app and the associated TOTP secret key. Replay attacks are not particularly feasible against such codes because they will change frequently. As always, even without TOTP, you should also make sure you rate-limit login attempts to web-admin by configuring your frontend load-balancer, or proxy, accordingly. With TOTP, since the codes are relatively short, it would be possible for an attacker to check them all very quickly so this kind of rate-limiting is of double importance. Having logged in, it is possible to generate secret keys directly in web-admin too. This option will also output QR codes to transfer the code to mobile devices simply by scanning the resulting QR code. That is all - everything is set up and two-factor authentication will be enforced each time anyone logs in. TOTP is easy to configure and use so it is recommended to enable it as an additional security layer. As of today, everyone building Zato from source will notice a significant decrease in time needed for servers to start and stop - it is now possible for an entire server to boot up to a fully functional state in less than two seconds and to shut down in half a second. The changes in startup time were possible thanks to modifications to how services are deployed - deploying 700 services a second using just one CPU is now feasible, as in the snippet below. Note that it means services that are actually ready to accept and process incoming messages, in this particular case there were almost 600 internal services and 100+ user-defined ones. It is easiest to observe it when a server is started in foreground, using the --fg switch; after the initial messages comes the part when the server deploys all of its services, in this case it took roughly 0.9 s.
Similarly, to stop a server, a fraction of a second is needed. Here, below, the server was running in foreground so Ctrl-C sufficed to stop it - and it took 0.3 s for it to shut down. All of it will be released in June 2019, as part of Zato 3.1, and today - one can simply install Zato from source and take advantage of the improvements already. 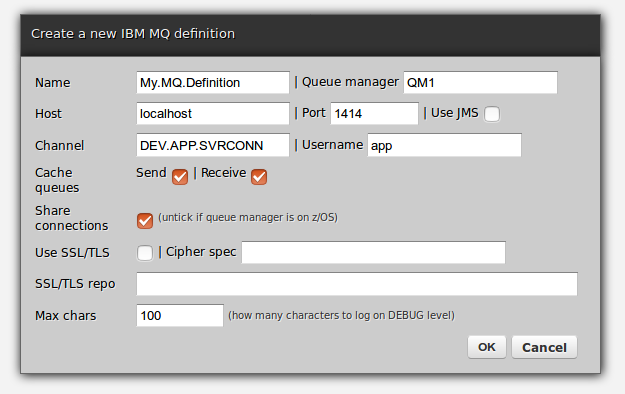 Zato publish/subscribe message queues and topics offer several ways to gain insight into the inner workings of all the components taking part in message delivery and this article presents an overview of the mechanisms available. By default, several files are employed to keep information about pub/sub messages, each file stores data with its own characteristics. As with other logging files, the details such as logging level are kept in the logging.conf file for each server in a cluster. Note that logging to files is just what pub/sub uses in default settings - everything in logging.conf is based on Python's standard logging facilities so it is possible to reconfigure it in any way desired to send logging entries to other destinations instead of, or in addition to, what the configuration says by default. Likewise, it is possible to disable them altogether if they are not needed. zato_pubsub is the main file with internal events pertaining to handling of pub/sub messages. 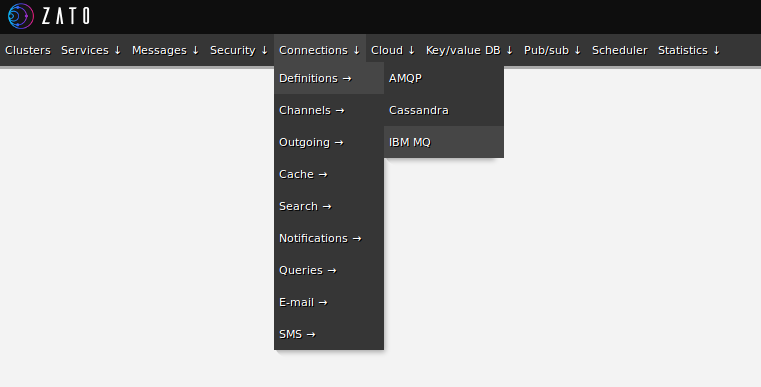 Any time a message is published or received by one of endpoints, a new log entry will be added here. Moreover, the file contains plenty of extra information - whether there are any matching subscribers for a message, what their subscription keys are, if they are currently connected, what happened to message if there were none, if the message could not be delivered, what the reason was, how many attempts have been so far, all the relevant timestamps, headers and other metadata. In short, it is the full life-cycle of publications and subscriptions for each message processed. This is the place that all the details of what is going on under the hood can be found in. Unlike the file above, the whole purpose of zato_pubsub_audit is to save data and metadata of all the messages received and published to topics - only that. There is no additional information on what happened to each message, when and where it was delivered - it is purely an audit log of all the messages that Zato published. It is at times convenient to use it precisely because it has basic information only, without any details. The whole purpose of zato_pubsub_overflow is to retain messages that would be otherwise dropped if topics reached their maximum depth yet subscribers were slow to consume them. Consider the topic below - it has a maximum depth of 10,000 in-RAM messages. If there is a steady inflow of messages to this topic but subscribers do not consume them in a continuous manner, which means that the messages will not be placed in their queues in a timely fasion, this limit, the maximum depth, will be eventually reached. The question then is, what should be done with such topics overflowing with messages? By default, Zato will save them to disk just in case they should be kept around for manual inspection or resubmission. 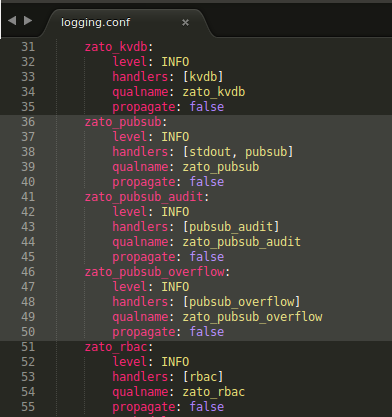 If this is not needed, zato_pubsub_overflow can be configured to log on level WARN or ERROR. This will disable logging to disk and any such superfluous messages will be ignored. Of particular interest is the event log - it shows step-by-step what happens to each message published in terms of decision making and code branches. Note that the log has a maximum size of 1,000 events, with new events replacing any older ones, thus in a busy server it will suffice for a few seconds at most and it is primarily of importance in environments with low traffic to topics, such as development and test ones. Note that runtime pub/sub information in web-admin is always presented for each server process separately - for instance, if a server is restarted, its process ID (PID) will likely change and all the data structures will be repopulated. The same holds for the event log which is not preserved across server restarts. 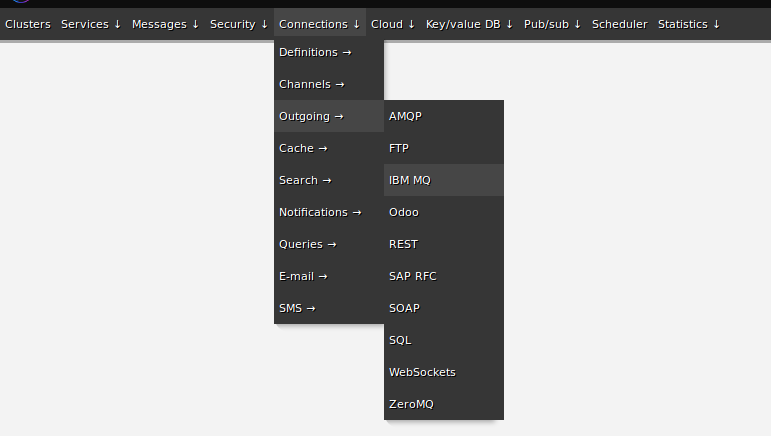 Publish/subscribe messages and their corresponding internal mechanisms are covered by a comprehensive logging infrastructure that lets one understand both the overall picture as well as low-level details of the functionality. From an audit log, through events to tracing of individual server process, each and every angle is addressed in order to make sure that topics and queues work in a smooth and reliable way.